Maruti Suzuki is set to announce the prices of the 2019 Baleno facelift in India in January 2019 and we can now confirm some of the changes that the Baleno facelift will get over the outgoing model. 1. New design alloy wheels: The Baleno will get machine-finished alloy wheels, or as Maruti Suzuki calls it, precision-cut alloy wheels. The alloy wheels will get a black-silver dual-tone finish. 2. UV-cut glasses on windows in Alpha variant only: Maruti Suzuki offers the existing Baleno with UV cut glass windows in Zeta and Alpha variants. But with the facelift, these glasses will be reserved for just the top-spec Alpha variant. 3. LED Projector headlamps to be on offer: The outgoing Baleno gets projector headlamps (HID) only in the top Alpha variant. But with the model update, the Maruti hatchback will gain LED projector headlamps from the Delta variant onwards. 5. 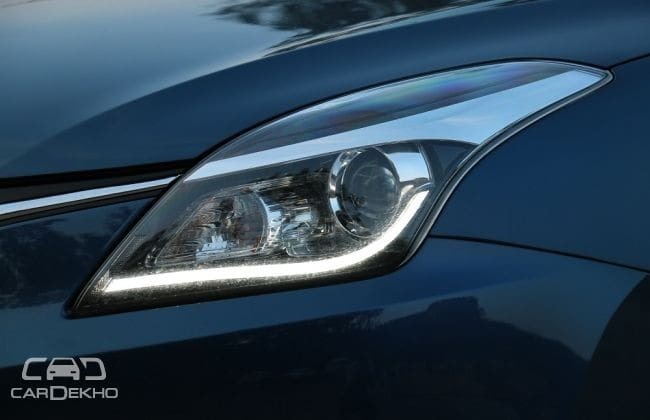 15 LED DRLs in Alpha variant, LED light guide in lower variants: Since projector headlamps will be on offer on all variants save for Sigma, Maruti Suzuki will offer LED light guides in Delta and Zeta variants. The top-spec Alpha variant, on the other hand, will get DRLs with 15 LED units each. These will be far brighter than the LED light guides on the lower variants. 6. Black-blue seats: The seat on the updated Baleno, at least on the top variant, will get a dual-tone black-blue finish. Expect the black-blue combination elsewhere as well, like on the door pads. 7. 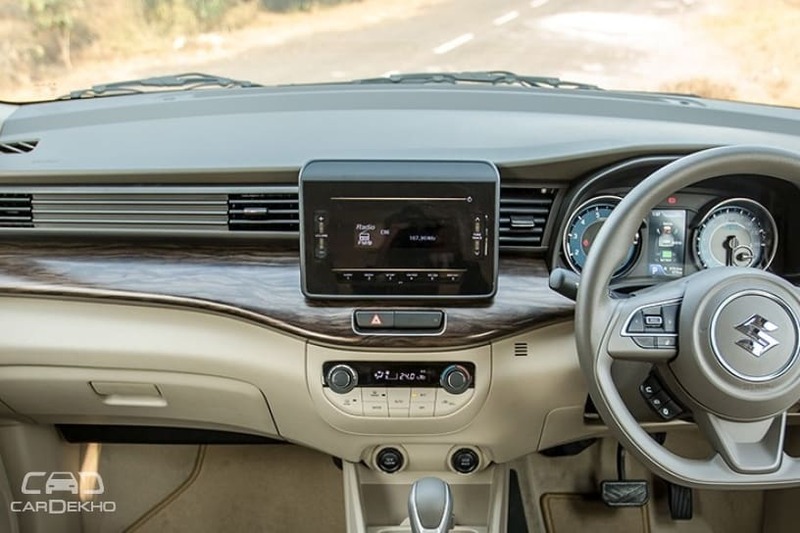 Darker silver/grey accents around auto AC controls and AC vents: The outgoing Baleno’s interior features silver finish around the auto AC controls and AC vents on the dashboard. The finish has been darkened for the upcoming facelift. 8. Leather-wrapped steering in Alpha variant only: The outgoing Baleno features leather-wrapped steering on the Zeta and Alpha variants. Going forward, it will only be offered on the top-spec Alpha variant. 9. SmartPlay Studio: The Baleno facelift will get the updated SmartPlay Studio infotainment system. It will feature both Apple CarPlay and Android Auto. 10. 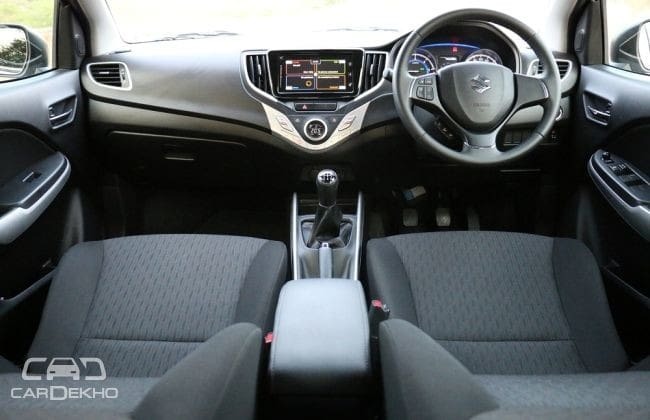 New Ertiga-like 2-DIN music system with electrostatic touch buttons on lower variants: The 2019 Baleno’s Delta variant will gain a 2-DIN infotainment system with electrostatic touch buttons like the one that’s on offer on the lower variants of the Ertiga. 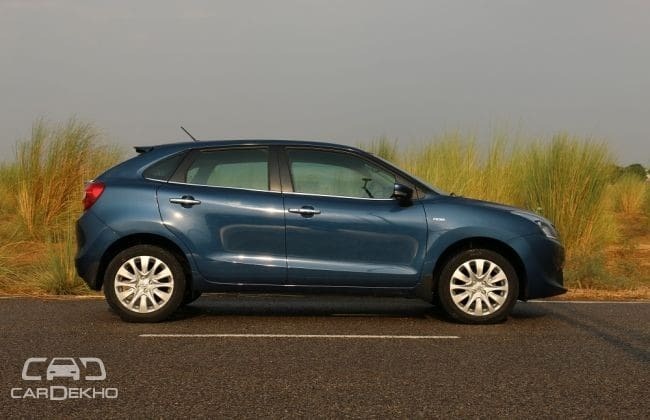 While there’s no official word from Maruti Suzuki regarding the Baleno’s launch date, Nexa dealers are already accepting bookings for the updated model and promise deliveries in the month of February. There will be no changes in Baleno’s powertrains, but prices are expected to go up slightly. The current Baleno is priced from Rs 5.42 lakh and goes up to Rs 8.53 lakh (ex-showroom Delhi). Our sources suggest that the prices of the Baleno could be revealed on 27 January 2019.